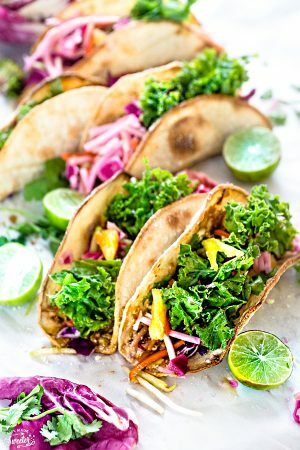 Baked Asian Sesame Chicken Tacos – a simple recipe perfect for busy weeknights and Cinco de Mayo. Best of all, a short recipe video. Layered with sweet and savory sesame chicken, rainbow vegetables, and a blend of 3 cheeses. Plus recipe video. This recipe starts off by combining some precooked chicken with a sweet and savory Asian-inspired sauce over medium heat. 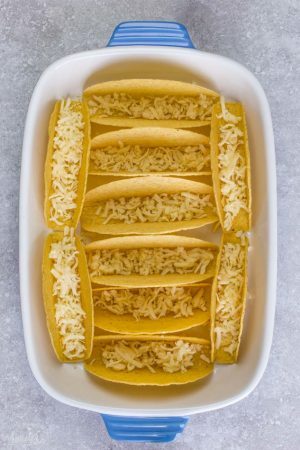 Once the filling is heated up, divide it among some taco shells and layer with cheese. I used Monterey, Colby Jack and Cheddar. 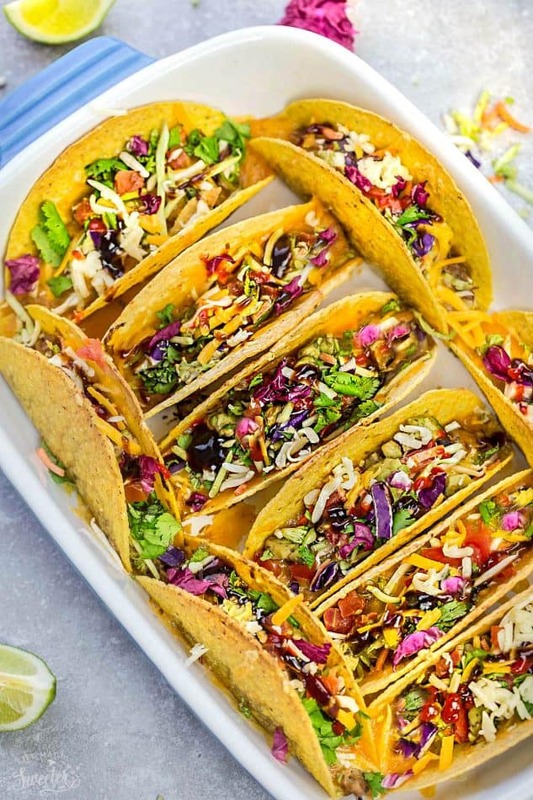 Bake the tacos in the oven until the cheese gets nice and bubbly, then top with a rainbow slaw, tomatoes, avocado and any other toppings you like! 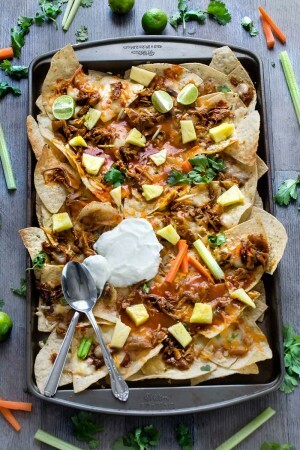 A drizzle of Hoisin & Sriracha sauce adds another layer of sweet and spicy for the perfect finishing touch. 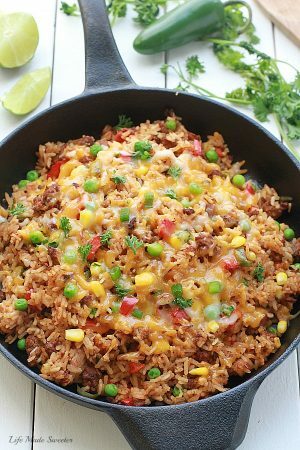 Flavor packed and makes a fun and easy weeknight or Cinco de Mayo meal! 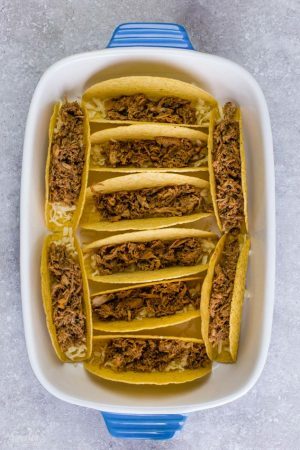 Baked Asian Sesame Tacos make an easy meal for Cinco de Mayo or Taco Tuesday! Make the slawCombine all the ingredients for the slaw in a large bowl. Cover and set aside in the fridge. In a medium skillet, heat oil over medium high heat. Add garlic and ginger and cook for 30 seconds to a minute, until fragrant. Add the chicken then stir in the soy sauce, honey, lime juice and sesame oil. Cook for 2-3 minutes, until the sauce is reduced. 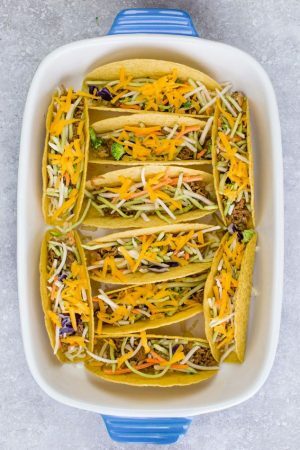 Arrange the taco shells in the baking dish and fill evenly with Monterey Cheese. Layer evenly with chicken then top with Cheddar and Colby Jack. Bake until the cheese is melted, about 8-10 minutes. 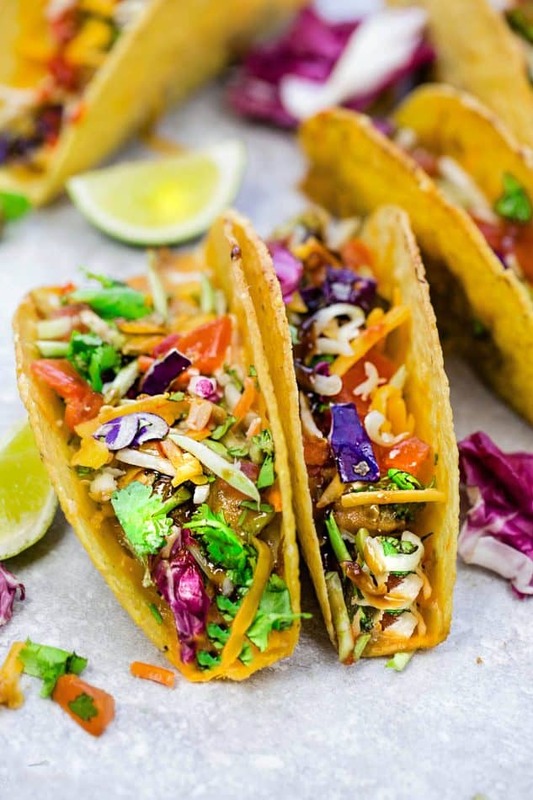 Remove from oven and top with rainbow slaw, diced tomatoes, avocado and cilantro. Drizzle with hoisin sauce and Sriracha if desired. *Feel free to raw chicken breast or thighs cut into 1" cubes) and brown for 8-9 minutes, or until cooked through in the skillet before adding seasonings.